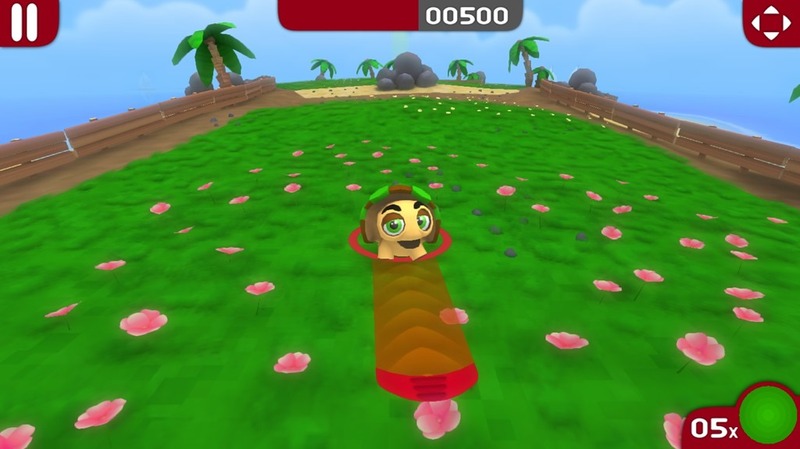 Just Hot Air is a free Windows 8 Kicking Game. 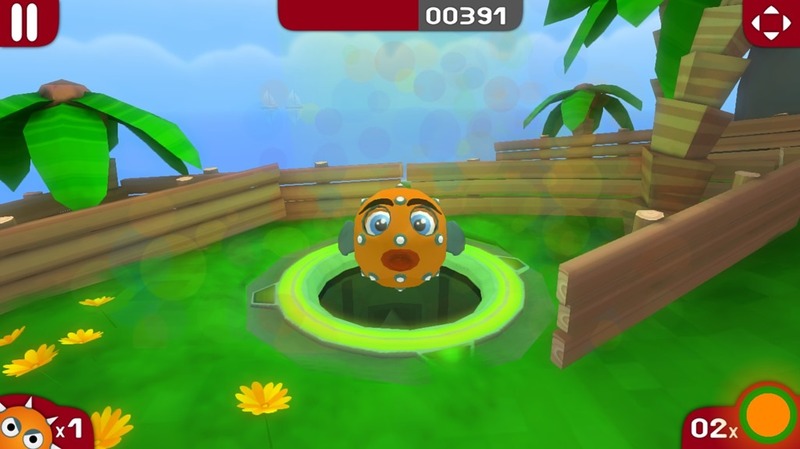 In this game, your aim is to kick the lovely creatures (fish or turtle), and help them reach the goals. They have to go through a variety of terrains having slopes, volcanic lava, seawater, sand, and various others landscape features. There are two different creatures available here. Choose from among 21 levels to play the game. Make sure that you use the terrains to your advantage so as to reach the goal in the given number of steps. 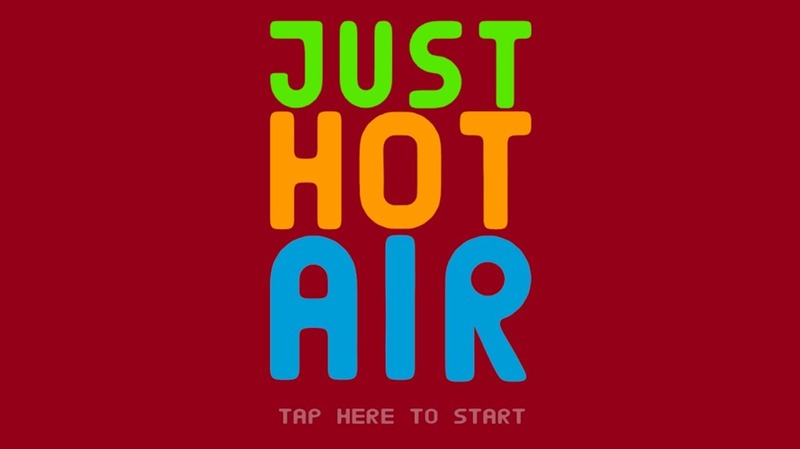 Just Hot Air is freely available in the Games category of the Windows Store. From the main screen of the game app, you can enter the game by a single tap. 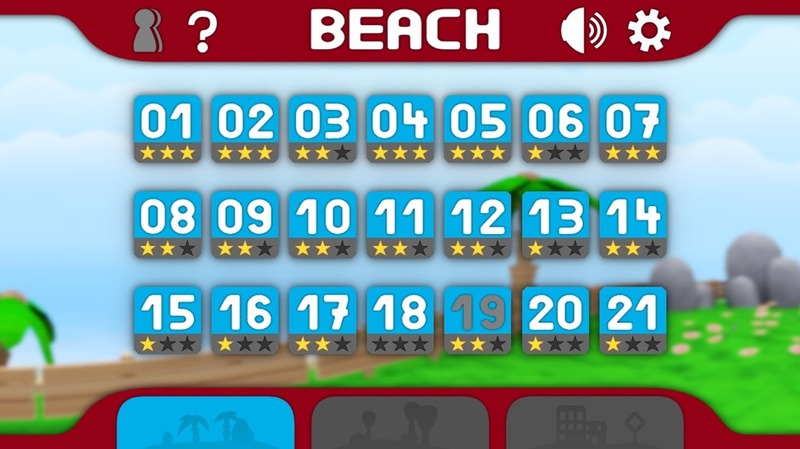 As you click on this screen, all the levels that are available for you to play will be shown to you. You have 21 levels available to choose from. As you begin the game for the first time, only level 1 will be unlocked. Rest of the levels will be available as soon as you clear the levels. In this game, your goal is to kick the creatures (fish and turtle) so that they can reach a hole in the ground which would be emitting light. One more thing to be taken care of is that you have a limited number of kicks available. That number will be specified at the bottom right side of the game interface. If you lose all your kicks, your creature will burst. This is because they are filled with Just Hot Air. Accordingly, you would be given scores. The creature will become more dizzy with each kick. Positive points: + 25 points will be given whenever the creatures hit the fence. Negative points: –100 points for each time you kick. -75 points for splashing water. For the fish, you also have the power to launch its thorns. This way, you can stop its motion. This will be displayed on the bottom right side whenever you are playing using a fish. Dry volcanoes which give out black air can launch the creature into the air and thus the creature can reach some other distant point. To kick them, just take the cursor over them. Drag the cursor backward to adjust the power, and let go off the mouse button to launch. That’s all from my side. Rest all lies in your skills. Enjoy! Also check Lego Hero Factory Brain Attack and Jumping Frenzy. According to my experience with the game, this is quite an interesting Windows 8 Kicking Game. Give it a try for sure. Get Just Hot Air here!